Abigail Hason has been working with an STM teacher since she was 11 years old. She is now at the University of Miami studying on the Pre-Dental track, while getting her Bachelor of Arts in Music. Abigail, or Abby as she prefers to be called, originally started out on the violin at age 9. At the age of 11, she switched to viola. This is when she began working with Share the Music. A photo of Abigail Hanson at one of the Share the Music recitals. 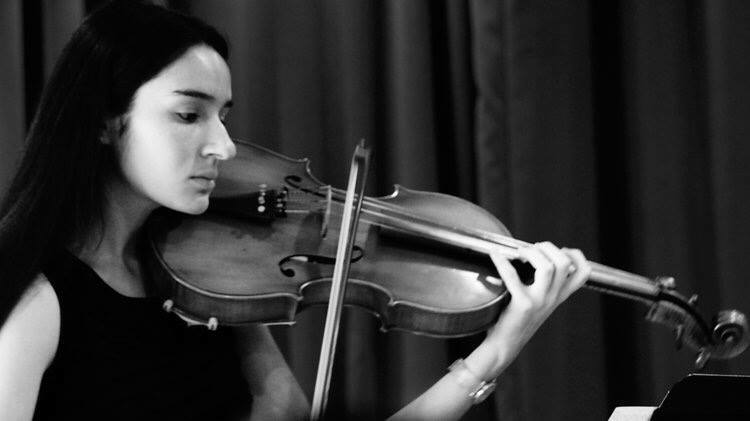 After six years of working with STM, she graduated from high school and was accepted with a full tuition scholarship to the University of Miami where she is now studying under the direction of viola professor Jodi Levitz. Abby reflects on how her experience "thoroughly prepared [her] with the technique and repertoire suitable for collegiate-level playing." Abby says she would readily encourage young students to take lessons with STM whether or not they know they want to play semi-professionally or professionally when they become adults. She believes "that if they thoroughly enjoy playing their instruments then taking private lessons will transform their energy into informed and coherent music making." Abby performs at a studio recital at the University of Miami in 2017. What methods of instruction worked to get Abby where she is at now? What exactly did Abby learn with Share the Music lessons besides music? Visit our upcoming blog post as we dive deeper into technique in the rest of our interview with Abby.